President Barack and Michelle Obama’s portraits were unveiled at a special ceremony Monday morning. The two portraits were commissioned by the Smithsonian’s National Portrait Gallery. 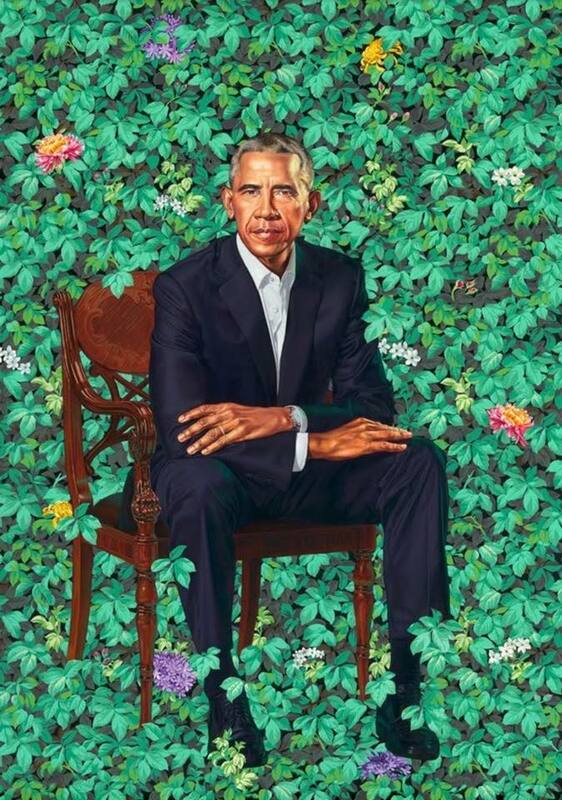 Out gay artist, Kehinde Wiley — best known for his vibrant, large-scale paintings of African Americans — was selected to create the President Obama portrait. Baltimore-based artist Amy Sherald, a first-prize winner of the Portrait Gallery’s 2016 Outwin Boochever Portrait Competition, was selected to paint Mrs. Obama. Former First Lady Michelle Obama chose a different artist, Amy Sherald. 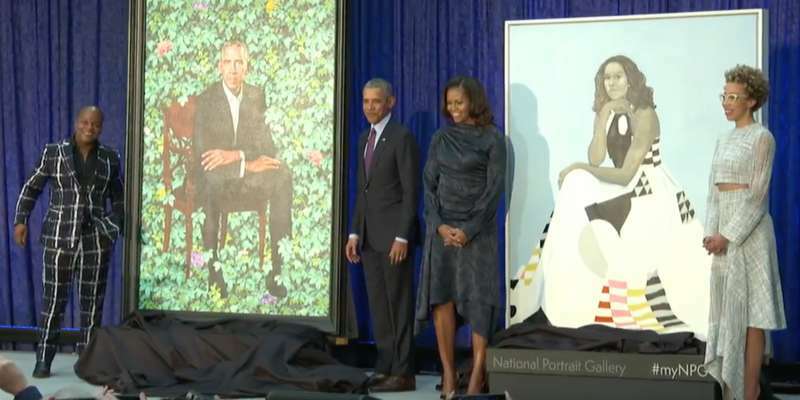 The Obama’s choice of these two artists is historical, as it’s the first time African American artists have been selected since the institution of painting presidential portraits began in 1994. There are always two sets of portraits created: one will hang in the Smithsonian’s National Portrait Gallery while the other will find a home in the White House. “The Portrait Gallery is absolutely delighted that Kehinde Wiley and Amy Sherald have agreed to create the official portraits of our former president and first lady,’ said Kim Sajet, Director of the National Portrait Gallery. “Both have achieved enormous success as artists, but even more, they make art that reflects the power and potential of portraiture in the 21st century.